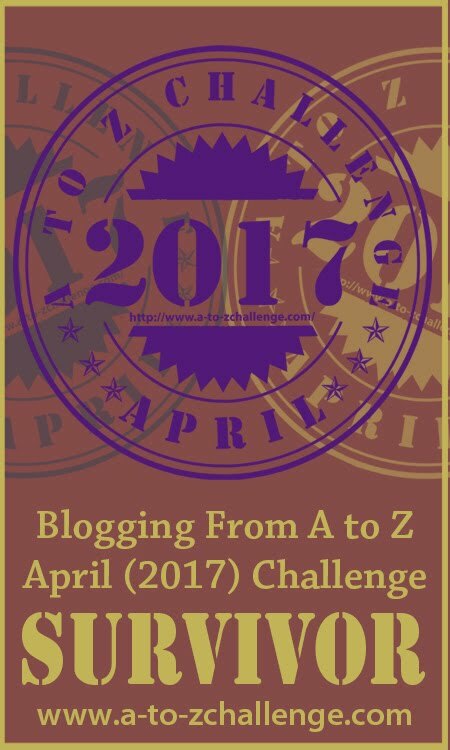 Happy to begin the #AtoZChallenge talking about one of my favourite authors and speakers – Eckhart Tolle. His bestselling spiritual guide ‘The Power of Now’ which I had read earlier was such a revelation of living in the present moment. ‘A New Earth – Awakening to your life’s purpose’ also touches upon living in the now while taking a look at our ego-based state of mind. It is an inspiring transformational book with practical tips to bring about a shift in our reality and that of the present day humanity. This book is about awakening – beginning with the recognition of your own awakened or unawakened state of mind. Eckhart throws light on our ego-based state of consciousness and gradually leads us to an entirely new understanding of ourselves. We are not our egos but we do not realise it is our egos that make us miserable. If you are spiritually open and ready, a shift in consciousness will take place while reading this book. You will awaken to a lot more within than just your life’s purpose! Eckhart Tolle was ranked #3 on the list of 100 Most Spiritually Influential Living People of 2015, just behind Pope Francis and The Dalai Lama. This sounds like such a great book. Totally going on my TBR list. Thanks for sharing the review of another book of his – reading books is always a learning experience, and one that explains the ego and brings a shift- wow! I will definitely check this book out. Thank you Ishieta. I hope you enjoy reading Tolle’s work. Look forward to staying connected. Cheers! That was an informative write up and I thank you so much for the info. Next time when I am in library or shop, my eyes definitely will look for this author’s name. Thank you. Do pick one of his books next time – will surely be a good read. I have heard Tolle speak but haven’t read any of his books. Bookmarking your recommendation, loved what you shared about the book. Keep the inspiring recommendations coming, Vaishali! Definitely try and read one of his books. Written words have a different magic, as you would know. Thank you for dropping by. Do continue giving your feedback – always nice to hear from you. My dad highly recommends Tolle and I can understand why. I’ve also gleaned a lot from similar spiritual writers such as Neale Donald Walsch, Richard Bach and others. I’ve been fascinated by this concept for as long as I can recall. Admire the detail with which you’ve outlined Tolle’s core messages, Vaishali. Nice start to A to Z. How nice to know of our common interest in these authors. My inclination towards spirituality has been an anchor in life’s storms. I’m delighted to have your first comment on my blog (and look forward to many more). Thanks so much for your kind words. Respect! This sounds very interesting. Might give it a try after April. Nice to know that. I have liked all his books and talks too. Highly recommended if you haven’t read him yet. Thanks for dropping by Tina. Look forward to staying connected. Thank you for leaving a comment here. You have an interesting blog which I look forward to reading.